Hands On Nashville’s Home Energy Savings (HES) Program was recognized for its innovation in making a real difference for those in need. We are so proud of the volunteers and dedicated HON staff members who have worked hard since the HES Program launched in February 2011 to make this program a success for our community. HON received an award of $20,000 that will be invested into the HES program. This translates into eight homes that will be safer, more efficient, and more comfortable for Nashvillians in need during weather extremes! 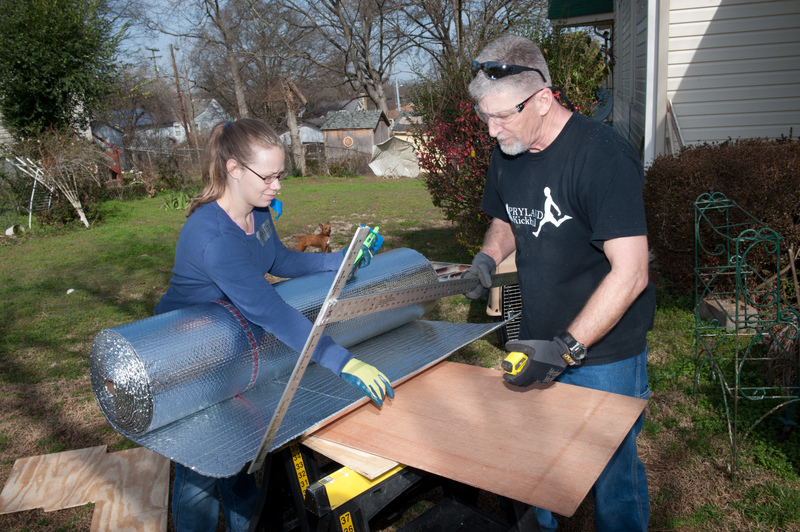 The HES Program engages volunteers in making energy-efficiency upgrades in low-income, owner occupied homes in North and East Nashville at no cost to homeowners. This is the only local, volunteer-centered program to focus exclusively on energy efficiency while addressing unmet community needs. 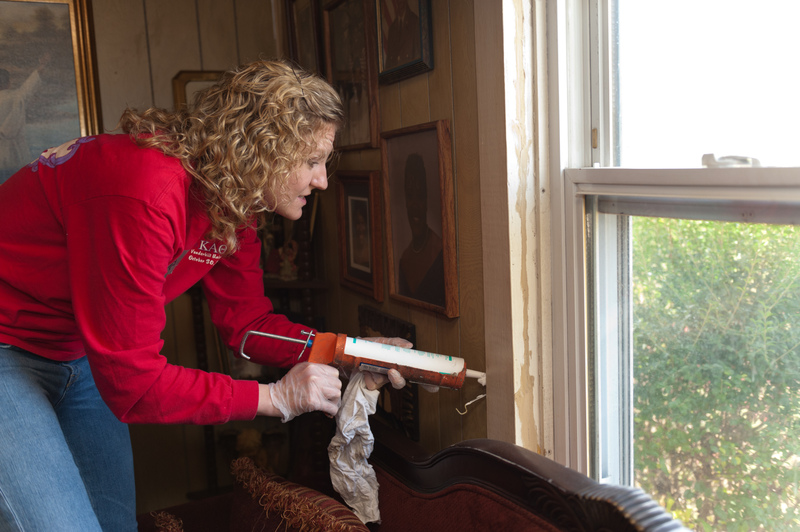 Caulking gaps between windows and other leaky areas makes a HUGE difference in making a home more energy efficient. After homeowners are accepted into the program, they receive an in-home energy consultation with diagnostic testing. A suite of upgrades are identified, and volunteers make improvements: insulating attics, weather stripping doors, etc. Over the last year, more than 100 homeowners have benefited from the HES Program. As a result of volunteers’ work, homes’ air infiltration (or “leakiness”) has been reduced by an average of 24 percent. This translates into average annual utility bill savings of $300 to $700 per homeowner. 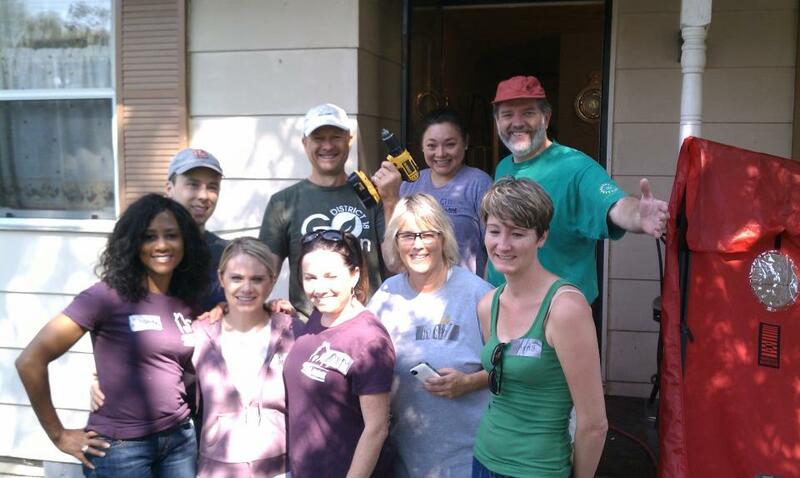 Village Real Estate volunteers spent a day last week helping a homeowner in the Chestnut Hill neighborhood make her home more energy efficient. This is a GREAT opportunity for corporate groups and others looking for a good team-building experience! Are you interested in volunteering for the HES Program and learning how to make energy-saving upgrades in your own home? We are always looking for helping hands for our weekly projects! (No experience needed! Our amazing HES leaders are eager to show you the ropes.) This is a good fit for both individuals and groups of up to 10. Click here to learn more and sign up, or email jaclyn@hon.org.